The global refugee crisis is now at a scale never seen before and countries all around the world, including Australia, need to do more to respond. The Australian government is examining ways in which to allow members of the Australian community to sponsor refugees into the country, like many Canadians have been doing for decades. 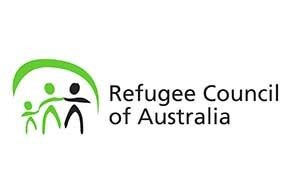 We believe the Australian community would like to do more to help the world’s refugees and its time to collect the evidence! We know from talking to people in towns all across Australia that there are many people who are willing to invest time, money and other resources in helping to expand our national response to the refugee situation. This could be as simple as putting up a hand to befriend a refugee who moves in to your neighborhood, or as significant as sponsoring someone’s visa. Please help us by telling us whether you could see yourself, your family, your community networks or your business becoming involved. We’re not asking you for money – just an indication of your level of interest in helping out. Join this movement to show that our community is willing to welcome refugees!